At Barron Family Dental, we understand the power a bright, white smile can make to your confidence and your life! 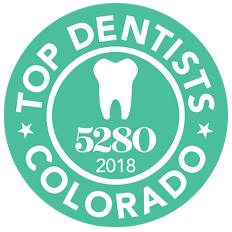 We advise patients every day about the best options for teeth whitening at home in Thornton, CO. While professional teeth whitening in our dental office gives the best results, this option is not always the most convenient. Barron Family Dental has solved this problem by empowering our patients with complimentary trays for teeth whitening at home with professional results! When you choose Barron Family Dental, you can count on high-quality dental services in a relaxing and comfortable atmosphere. For teeth whitening at home, we recommend patients first schedule a dental checkup and cleaning. The best whitening results come with teeth that are free of tartar and surface stains. This appointment will allow you to feel confident your teeth and mouth are healthy and prepare your teeth for the whitening process. After the cleaning, your mouth will be fitted for a custom whitening tray. This tray is free for you to take home for at-home teeth whitening. Our whitening service uses a proprietary whitening blend that is gentle on your teeth to avoid sensitivities. The whitening gel includes a natural de-sensitizer to allow those who suffer from teeth sensitivity to get whiter teeth with less discomfort. Before you leave, we’ll also give you specific instructions on how to use the proprietary teeth whitening gel and whitening trays. Details include how long and how frequently to use the whitening trays. The process is simple, and the results are undeniable! Besides a beautiful, whiter smile, at-home teeth whitening offers many other advantages! Unlike whitening strips, your Barron Family Dental teeth trays and whitening gel deliver more powerful ingredients to achieve a whiter smile faster. Using teeth whitening trays also ensures the whitening gel coats each tooth, the curves of the teeth, and in between teeth. At-home teeth whitening trays are found to be more comfortable than other whitening solutions. The trays are custom molded to your teeth and mouth to provide just the right fit. Whitening trays are made out of a thin plastic that is comfortable to wear during the whitening process. Of course, the biggest benefit of teeth whitening at home is the convenience! You can complete the whitening process in the comfort of your own home at a time that best suits you. To achieve the best results in the fastest amount of time, you are encouraged to use the trays for about two weeks or longer, but some may see results sooner! 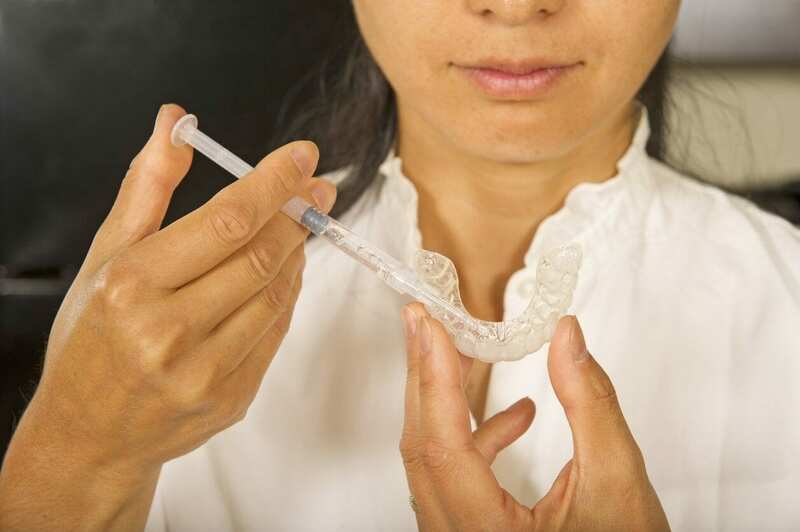 There’s never been an easier or more convenient way to improve your smile. Barron Family Dental’s professional at-home teeth whitening is one of our most popular dental services because it delivers beautiful results, fast!